Dar Lighting Amira single light table lamp features a square base in polished chrome finish with a stem made up of a stack of clear crystal glass cubes holding a drum shaped white cotton shade. This neat occasional table lamp will add a touch of glamour to any room within your home and the combination of high gloss chrome, crystal glass and white cotton shade creates a truly elegant style. Double insulated and operated by an inline rocker switch located on the cable. This product code is AMR4208. 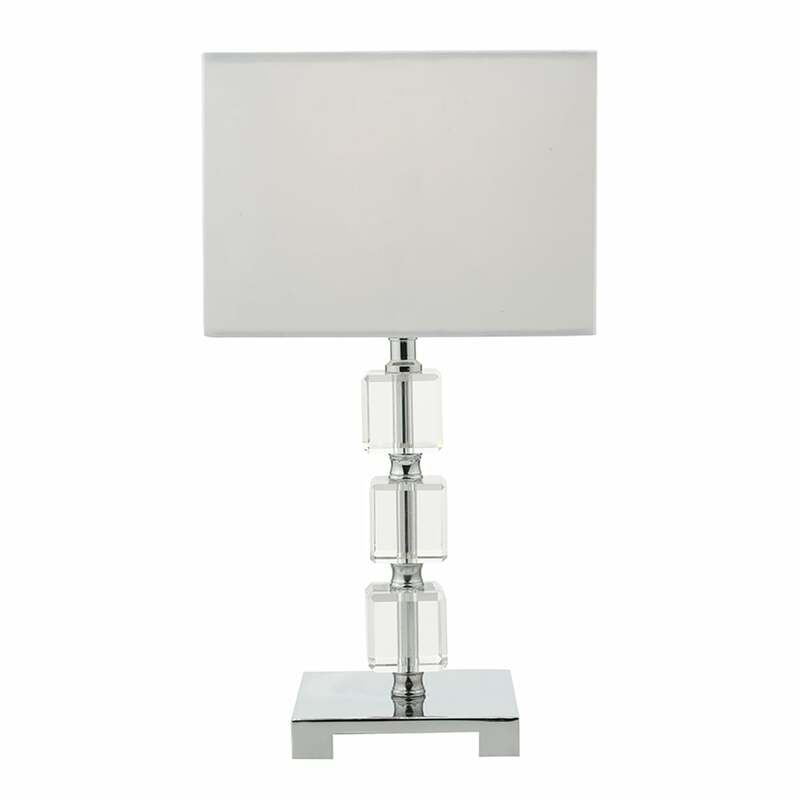 Dar lighting have a wide range of stunning table lamps, all of which can be viewed on our website.